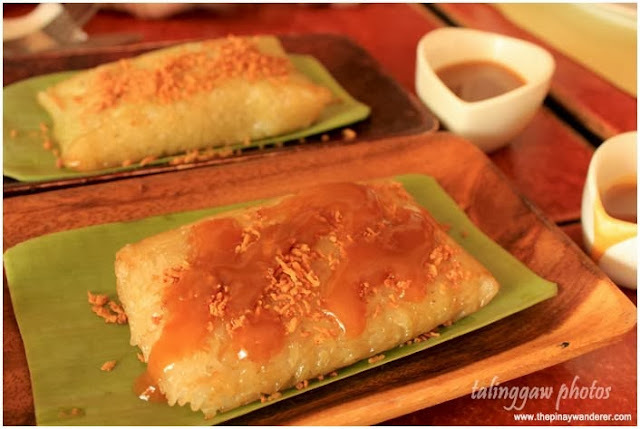 Batangas Tamales with Santan (coco jam)...must-try together with kapeng barako!!! 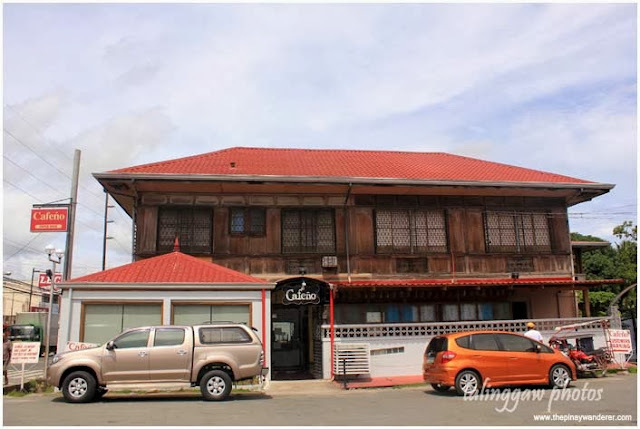 After enjoying the pool (more than the beach) in Blue Coral Beach Resort, we opted to look for a place to eat in the San Juan town proper. Although my brother is an OFW, I find it unreasonable to spend so much on food (we took buffet dinner the previous night and we didn't enjoy the food that much, they're not big eaters anyway) at the resort. So the following day, we left just before lunchtime and headed to Cafeño. 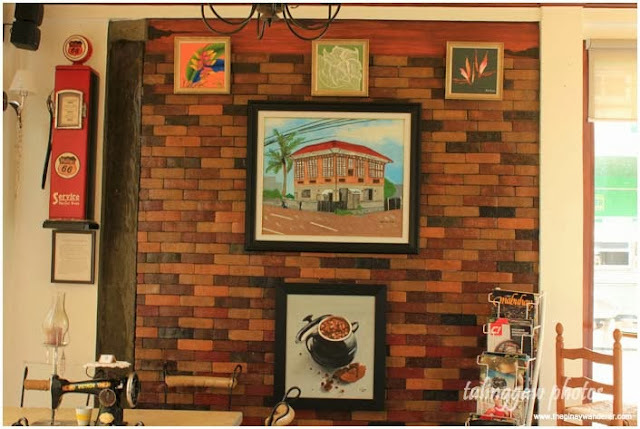 Cafeño is a cozy coffee house located in a century-old Spanish house in the town proper of San Juan, Batangas (just before the town hall, if you're coming from Lipa City). 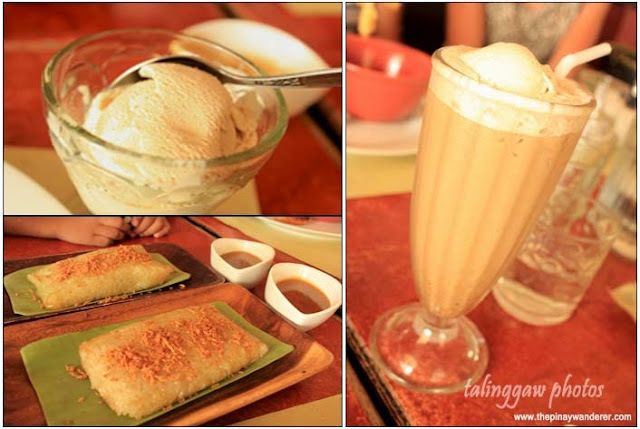 Aside from coffee (coffee house eh), Cafeño also offers rice meals and snack varieties as well as homemade ice cream. 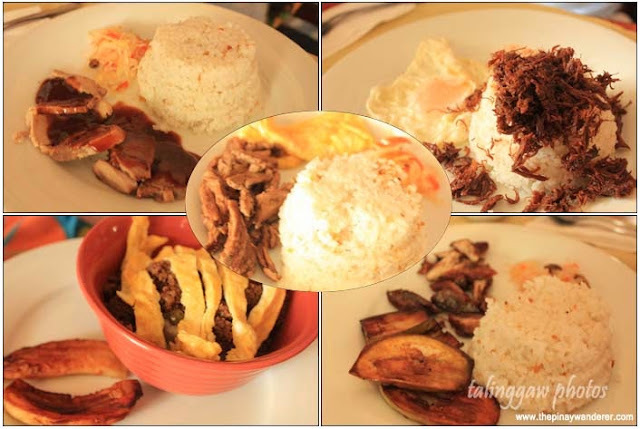 For our lunch, we ordered creamy roast pork (135PhP/order), beef ala cubana (130PhP), chicken-pork adobo flakes (130PhP), tamales (60PhP), Batangas tapa (145PhP), tulingan strips (140PhP), pork humba (145PhP), barako float (90PhP), and barako ice cream (50PhP/scoop). 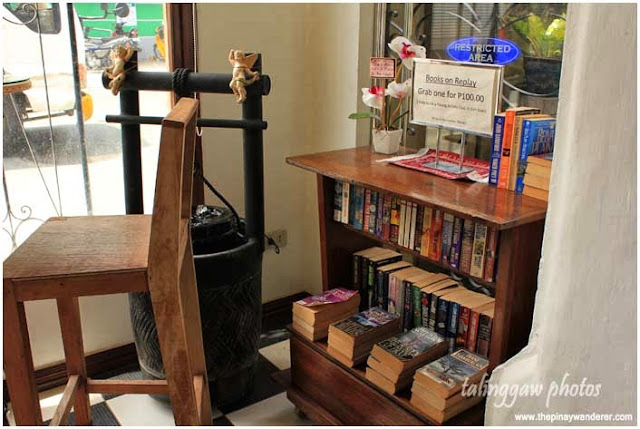 While waiting for our orders to arrive, I took photos of the coffee house and saw these unique table designs -- old sewing machines used as coffee tables. Cool, right? Blue coral resort is a very nice place. Been there before. But the food was not so special though. Very lovely coffee shop. Food looks yummy too! I love kapeng barako. :-) BTW, your site has a new look, right? Love it! Kaninis ka sis nagutom akoh sa tamales nubayan! parang kakaiba ang itsura ng tamales na yan sis? sanay ako sa tamales na nakabalot sa dahon ng saging? 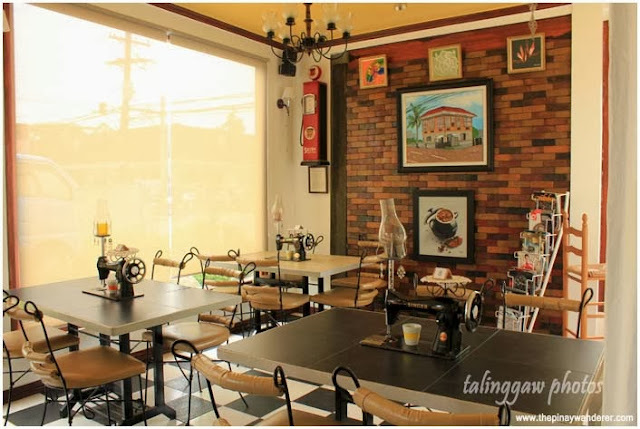 At ang cozy naman nung place. 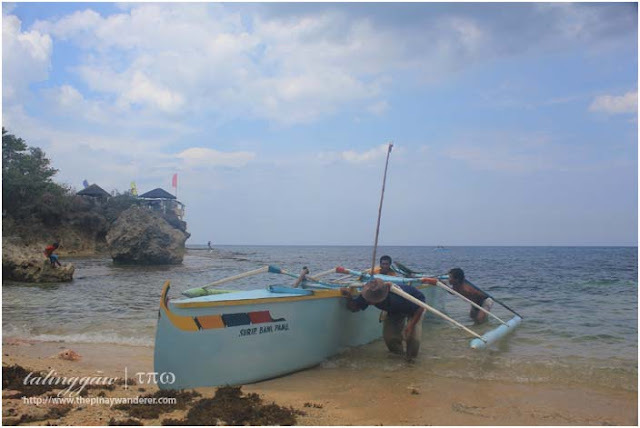 I've been to Laiya twice but on its beautiful beaches. parang gusto kong pumunta ulet just to visit these kind of place and the churches of course.